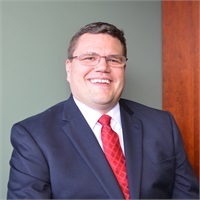 Doug P. Beebe | Retirement & Wealth Planning, Inc.
Doug is the Enrollment and Education Specialist for Retirement & Wealth Planning. He has a passion for helping plan participants make the most of their financial resources. He develops and presents seminars that help plan participants with common financial questions or concerns. Doug has an MBA from Capital University. He has been in the retirement business for three years. He has his Series 6 & 63, and Life & Health Insurance licenses.